If you want to have some time to yourself, finding a great program for children is a must. Here is a collection of some of the best family beach resorts with kid's clubs that offer something unique, educational and above all, fun. Keep in mind if your child is under 3 or 4 years of age, the resort will usually require that they are supervised by an adult. You can hire a nanny for a few hours to accompany her at the club, giving you time for a relaxing massage or a round of golf. Children will have the opportunity to immerse themselves in the local culture through song, dance and painting. They will learn new skills, make friends and make their own souvenirs to take home as a reminder of a fun trip. 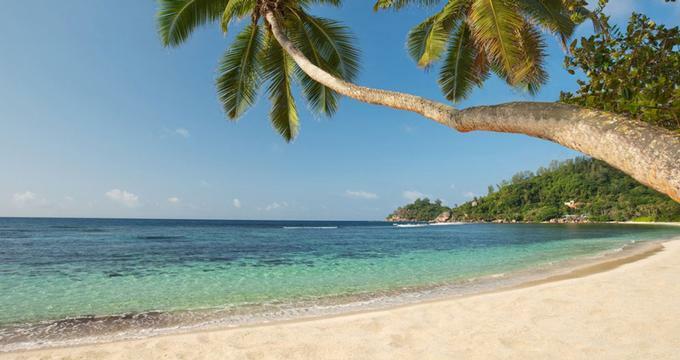 Choose from destinations that range from far-away islands like the Maldives and Seychelles to beach resorts in the Caribbean, Hawaii and mainland U.S. where you can plan a quick long weekend trip. Be on a lookout for last minute specials and packages that can help you save. 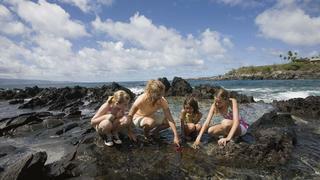 Jean-Michel Cousteau's Ambassadors of the Environment at The Ritz-Carlton, Kapalua in Maui is a complimentary program for children from 5 to 12 years of age. They will be able to learn about the environment hands-on at this beautiful oceanside resort.Activities include holiday crafts and feature films. The whole family can participate in specially designed programs with trained naturalists, including Cities Under The Sea, Adventures in Nature, Underwater Photography, Star Voyager, Marine Debris to Artistry, and Turtle Tracks. The resort offers family-friendly restaurants, several sandy beaches (Kapalua Bay is the calmest), two golf courses and a choice of spas. Take the family to Florida and stay at the St Regis Bal Harbour. 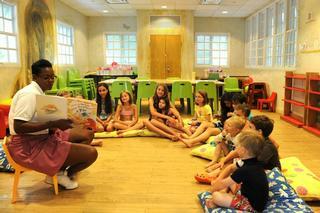 Sea Turtle Club is for ages 4 to 12 years old and incorporates the educational St. Regis learning center. Activities include art, pool play, beach exploration, cooperative games, team building, sports and interactive computer games. The club is available 7 days a week during the day. Night Camps are offered Friday and Saturday evenings (they include dinner). Pricing for a full-day camp starts at $80 with lunch. The resort offers babysitting services for an additional cost, private swimming lessons and kids parties. Located in the historic town of Brewster, Massachusetts, Ocean Edge Resort & Golf Club is a family seaside retreat with breath-taking views of the ocean. From the last week in June through the end of August, the resort offers a diverse selection of activities for families with children. Kids ages 6 – 15 can participate in the three-day Junior Sport Camp which includes golf and tennis competition. Kids ages 4 – 9 can participate in the Ocean EdgeVenture program which includes games, swimming and crafts. Kids and grown-ups can enjoy roasting s’mores, movie nights and other fun activities. Guests can choose to stay at The Mansion, where old-world splendor meets timeless grace with newly renovated accommodations overlooking Cape Cod Bay, or in The Villages, where elegant villas are dotted around the Nicklaus-designed championship golf course. Modern décor and deluxe amenities in both The Mansion and The Villages cater for every need. Guests staying at The Mansion enjoy exclusive access to a private beach, two swimming pools, a state-of-the-art tennis complex, fitness studio, and spa treatment room, while cozy Bayzo’s Pub and the indoor/outdoor Ocean Terrace offer award-winning cuisine in a spectacular setting. Nestled on the Nicklaus Design golf course, The Villages enjoy direct access to the Cape Cod Bike Trail, as well as six beautiful beaches. Rooms start at $195 per night (website). You may also like: 25 Best Things to See & Do in Cape Cod. Kempinski Seychelles Resort has a Kids Club with its own shaded pool and on-going activities supervised by dedicated staff. The club is open 7 days a week from 9 am to 6 pm for ages from 4 to 12 years free of charge. 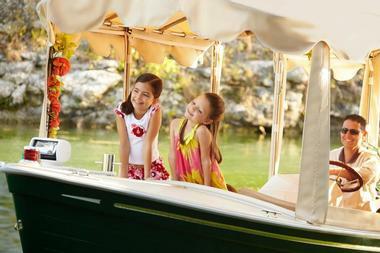 The club welcomes younger guests when accompanied by a parent. 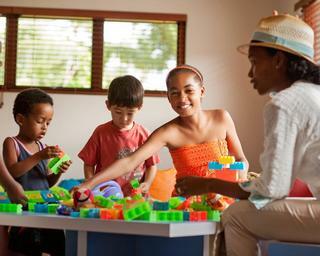 Kempinski Seychelles offers fun activities for the whole family at the Watersports Pavilion. Get in a kayak and explore the coral reef or put on snorkel gear instead. Other sports activities include tennis, badminton or beach volleyball. The resort pool, sandy beach and the luxury spa offer plenty of opportunity for relaxation. The hotel restaurants serve delicious cuisine and offer children's menus. We wrote about Lily Beach for honeymooners, but the resort offers great facilities and amenities for families as well. 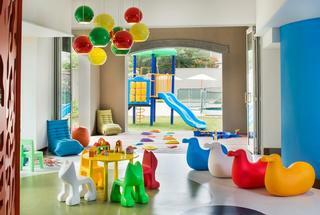 Turtles Kids' Club is complimentary to resort guests and offers indoor and outdoor play areas. The club is open daily to kids 3 to 12 years of age. The program is different every day so that younger guests spending a week at Lily Beach can enjoy something new every day. Activities include lei making from flowers, swimming, baking muffins, boating, bracelet making, catamaran rides, movie time, indoor games and more. Before and after the activities at the club, take your kids snorkeling in the clear blue waters in the Maldives and have a family afternoon picnic on the beach. Pan Pacific Nirwana Bali Resort just underwent a $10 million refurbishment, offering families the latest in design and technology. Get massages on the ocean's edge while children participate in Kokokan program for ages 4 to 12. Facilities include an outdoor playground, children's pool, a cinema room and indoor games such as the Wii area under supervision. Daily activities at the club include pottery, dancing, cooking, painting, games, swimming and basketball. Children will be able to learn about local dances, language and other cultural aspects. Children who enjoy yoga will have the opportunity to do that as well at Kokokan. There is an additional charge for this children's program. 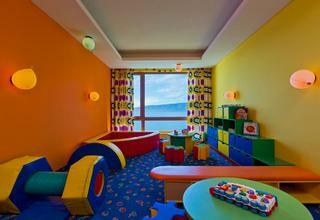 Families can book specially designed rooms with a children's loft where kids can have fun playing and sleeping. The club at Villarrica Park Lake Hotel has one of the best views we've seen in any kid's club. The room has a floor-to-ceiling window overlooking the lake and the mountains beyond. Complimentary to guests under 10, the program consists of movies, singing, and dancing. There are many toys to choose from. 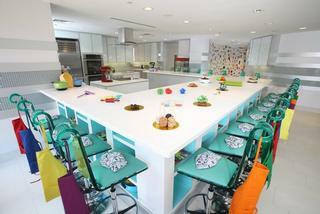 Older guests can plan table tennis, take a pastry class, and play pool. The whole family will have fun at this unique hotel in Southern Chile where you can look for rare birds and explore pristine nature around the mountain lake. We already wrote about the best attractions for families at Atlantis in the Bahamas - the resort offers such a diverse choice of activities that kids will never be bored. We like the Culinary Kitchen at Atlantis because not only will children have fun, they will learn skills that they can use when they return home. Perhaps the eager young chefs will help at home in the kitchen and even teach you something new. Caneel Bay on St. John in the US Virgin Islands is a unique ecosystem with 500 species of plants, beautiful birds and pristine beaches. Younger guests will love playing in the sand and swimming in the warm Caribbean Sea. 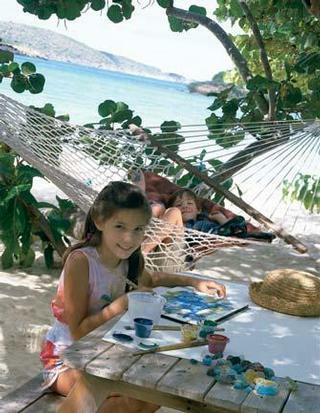 The Rose Buds program at Caneel Bay for kids 3 to 12 years old is located in a separate building, called Turtle Town offering arts and crafts, themed days and a wide selection of activities. Children will learn to identify new plants and animals and learn about the environment. Songs, dancing and pirate story telling are all very popular activities. Turtle Town's day programs are complimentary for resort guests. Babysitting services, meals and the evening Dinner and a Movie program cost extra. The brand new The St Regis Mauritius has a beautiful sandy beach and a club designed especially for guests ages 4 to 12 years. The idea behind the kids' club was to create an environment where kids could experience the natural beauty of the island hands-on. Outdoor activities include nature walks, crab hunting, glass bottom boat trip and more.There is a beautiful indoor play center with colorful chairs, toys and games. Children can participate in arts & crafts, watch movies and play musical games. Te Kite Flyers children's Club has a pool, kitchen, quiet room and playroom. There is an outdoor slide and climbing tower. The club is complimentary for ages 4 to 12. Younger children can attend if supervised by a parent or a babysitter. Babysitting services are offered for children over 3. Babysitters have special interests or certificates in Teaching, Child Development, Sport and Arts & Crafts. The Treehouse Club at Sandy Lane in the Caribbean offers interactive fun for guests over 3 years old and is complimentary. This is one of the best kid's programs in the Caribbean. Morning, afternoon and early evening programs are offered daily, giving you plenty of opportunity to relax at the luxury spa or play scenic island golf. If you are planning a getaway during the holidays, the resort offers special children and family programs during major holidays. Activities include tennis, arts & crafts and sailing. In the afternoon, children can attend movie time and movie nights outdoors and indoors. Special themed children's dinner parties are offered in the evening to give you time for a romantic dinner in the Caribbean.For the youngest guests, under 3 years old, the Tree House Club has a special section with age-appropriate toys, puzzles and games. The Den, located on the lower level of The Treehouse Club, is for teenagers. 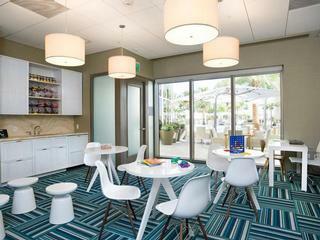 The area includes a game room with pool tables, board games and electronics. Programs for teenagers include island tours, sports clinics, water sports and coastal cruises. 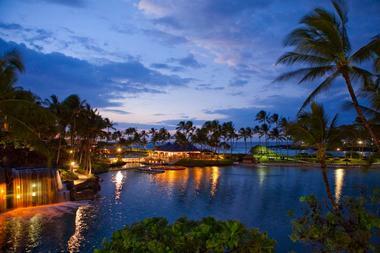 Hilton Waikoloa Village will keep the family entertained for the entire vacation. You can play golf or tennis, sail, dive, kayak, bike and see dolphins in the Dolphin Quest program. Tennis facilities at the resort include 8 courts and a 432 seat stadium court. Programs for kids include the Dolphin Family Program and Camp Menehune. The Dolphin Family Program lets the entire family experience an up-close and personal encounter with a dolphin. (For kids 13 and over) Children can try the hour long Dolphin Discovery or the Dolphin Twilight Camp where kids can feed and watch the dolphins in the twilight hours between 5-9pm. Camp Menehune is a day or night camp for children ages 5-12. Each day is based on a different theme and the crafts, games and water activities are all geared toward the theme of the day. Room rates start at $199 per night, depending on the season. Plan a trip at Rosewood Mayakoba in Mexico, a stylish resort with newly renovated luxury suites. Located in a gated community, this Mexican resort is home to Toolok Kid's Club, designed for ages 3 to 12. The club has several distinct areas where young guests can socialize, learn new skills and rest with a movie. The club is complimentary to resort guests and can host up to 30. Activities change seasonally and include: castle building, pinata making, easel painting, talent show, Mayan jewelry making, art in the sand, nature walks, rock painting and sea origami. The "Soft Room" is a quiet place to relax, read and take a nap. Plan a family trip to the luxury The Ritz-Carlton, Key Biscayne in Florida where kids ages five to twelve can participate in full- and half-day programs at the Kids pavilion. Resort staff organizes numerous activities, including beach relays, shell finding, art classes and pirate treasure hunts. There are 59 suites and 402 rooms in a 13-story West Indies Colonial-style complex. Rooms have large balconies overlooking the ocean or resort gardens. The rooms and suites feature a multi-line phone, a large desk and high-speed Internet access. Dining is offered at several restaurants, ranging from sophisticated to casual. Cioppino, the resort's signature restaurants, offers award-winning Tuscan cuisine and ocean views. The property is located 25 minutes from the Miami International Airport. The resort offers a number of packages, including spa, golf and romantic getaways. Room rates vary by season, starting at $289 per night website).